A couple of days ago, I got a much-awaited package in the mail. I’ve been waiting for my Alunsina leather journal and Kislap since last year, but these handmade notebooks take time to make since they’re made by hand and December is their peak season. They’re worth the wait, though. 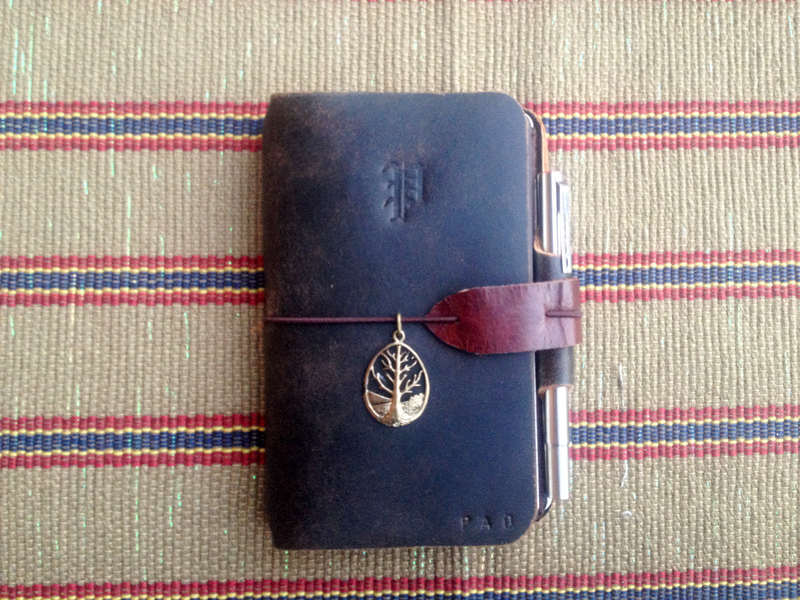 I ordered the large journal which I intended to use as my quiet time journal for 2015. 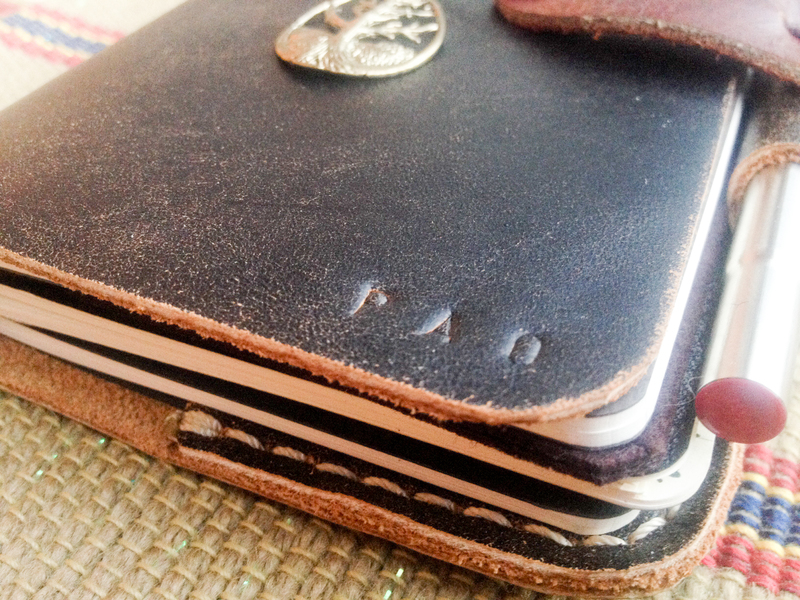 As always, I love the details of Alunsina’s handmade books. 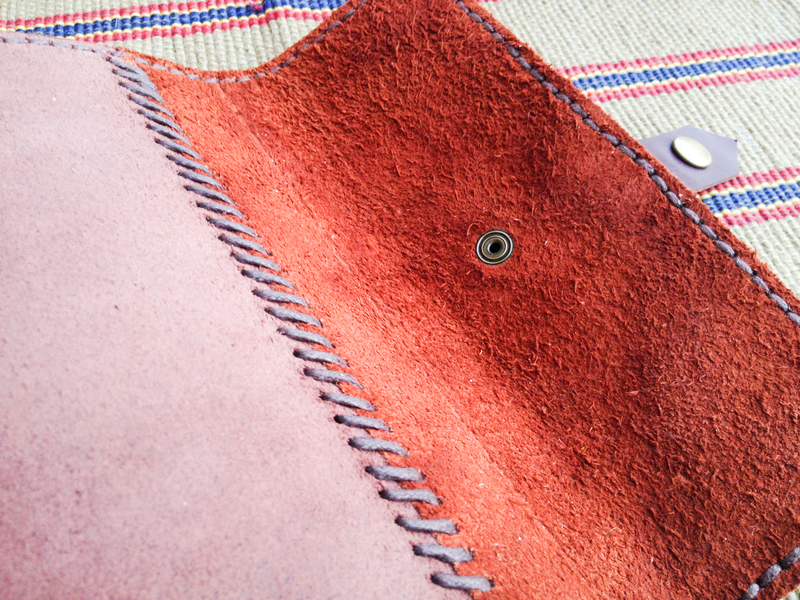 The stitches, the buckles, the smell (ohh, the smell)…everything’s just beautiful. I’m not an expert on binding and the kinds of stitches and whatnot but I’ve always been fascinated at how they do the bindings for their journals. This journal that I ordered had two different colored and textured leather. I chose it because it had a simple design and the lock opens easily. The flap doesn’t get in the way of writing either. The paper is fountain pen friendly, although the coating makes it hard for fine writers to leave ink. It handles my wet writers beautifully, though and as you can see in the photo above, there’s some show through but no bleed through. I used my Parker 51 inked with Burma Road Brown on it, which has a nib that’s medium to broad. The lines are written with Parker Sonnet with a ridiculously wet nib (which is why I don’t use it often). The paper handles my wet writers just fine. It has the feel of paper that’s slightly thicker than parchment and much smoother, if that makes any sense. 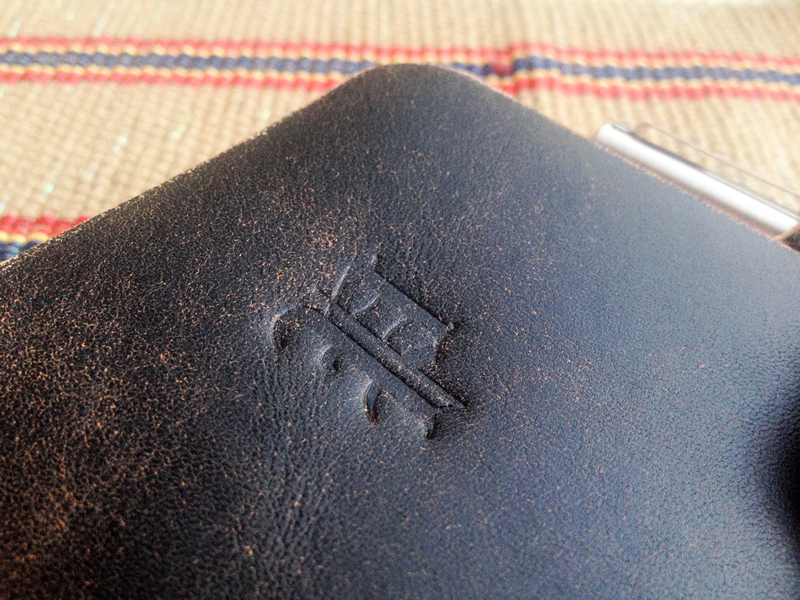 The Kislap (Kwaderno at ISang LAPis) is a traveler’s notebook like Midori, but I dunno, I really like this more MTN. Not to mention that it’s cheaper than Midori’s version. 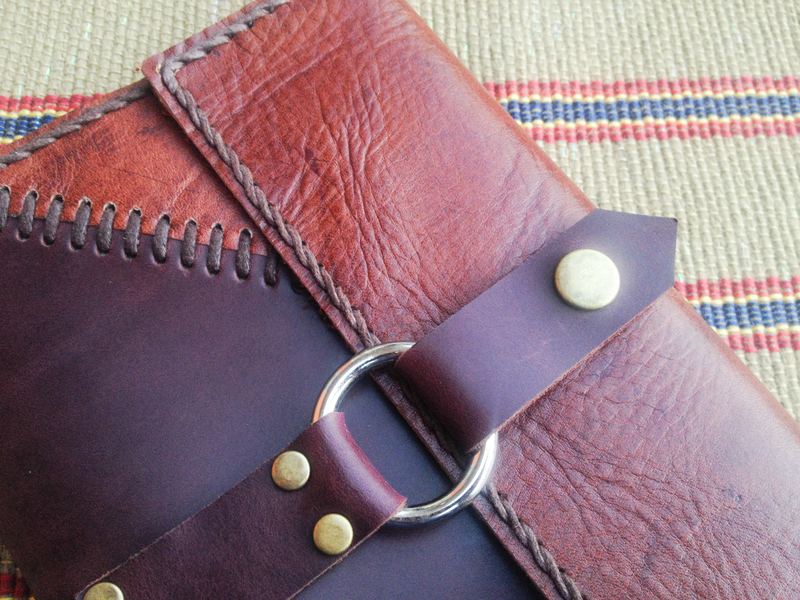 I picked this type and color of distressed leather because it looked like it had more character to it. Again, the details of this notebook are just so beautiful. It has felt pockets inside (4 pockets) so you can store whatever you want. Two elastic bands to hold two small jotter notebooks and one pocket to hold another jotter’s flap. 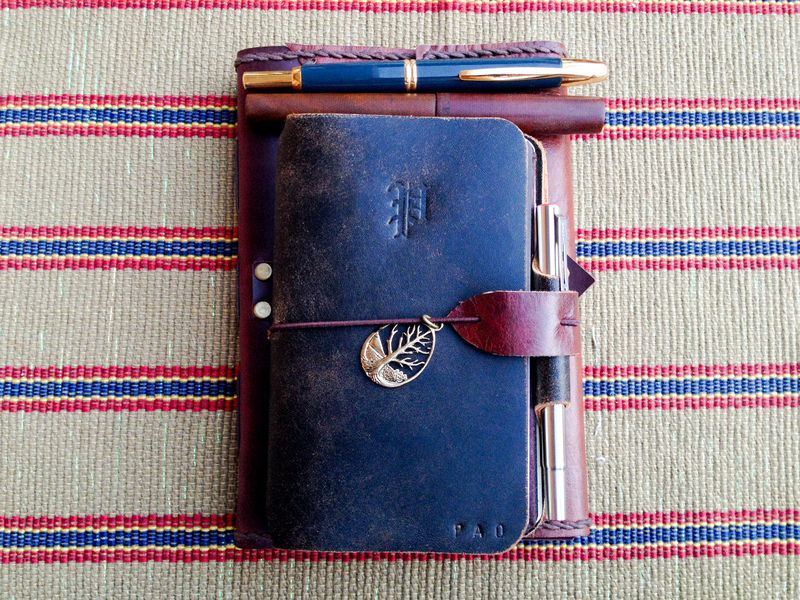 I love the soft texture of the leather they used, and it looks like the kind of notebook that grows more beautiful as time goes by. It definitely has that handmade look that I love so much. 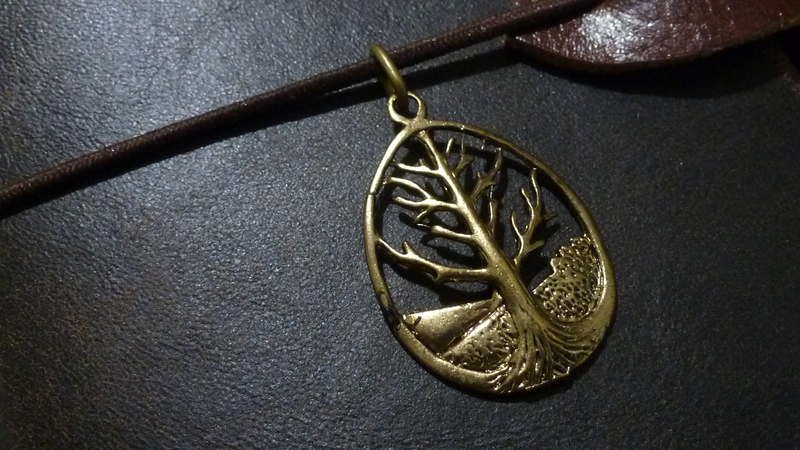 I chose the earth charm for my Kislap because I want to always be reminded that I am a branch, a part of one body. 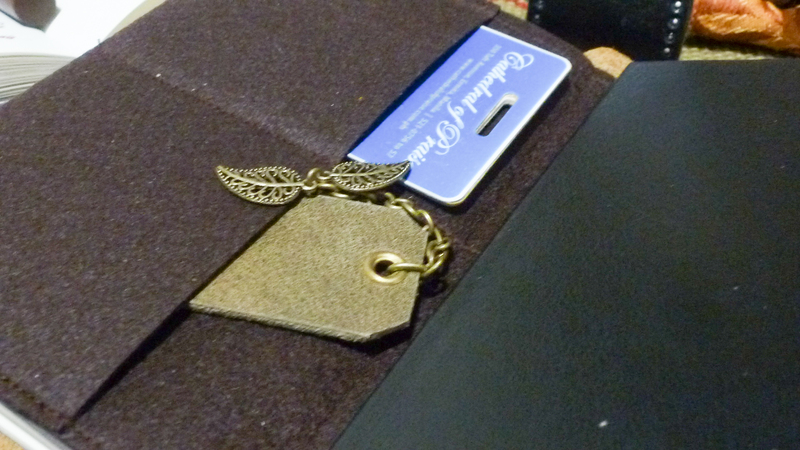 You can change the charm if you want or add your own, to make the notebook more personal. It has a pen loop which you can have personalized to be bigger or smaller. Of course I forgot to ask mine to be bigger but it does fit my thinner pens. The paper is FP friendly, but seems to be made from different materials. The lined jotters can be prone to feathering, though. 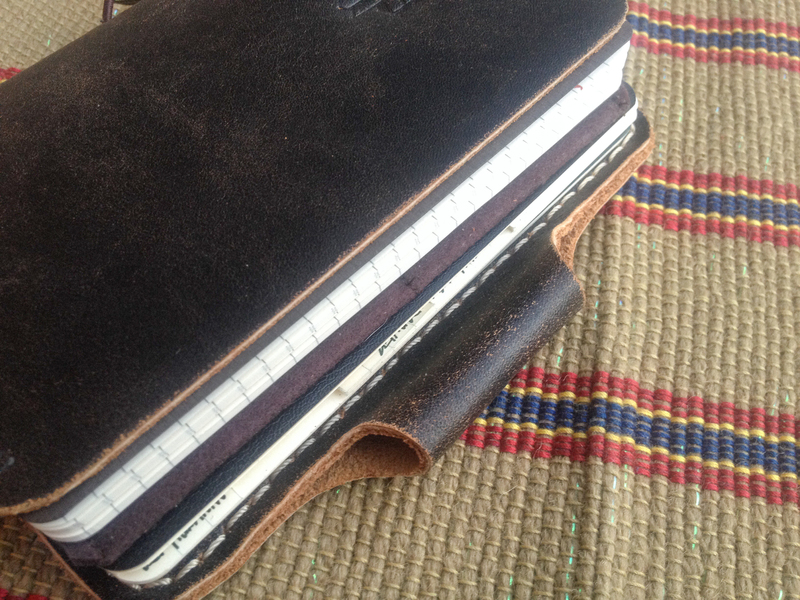 The weekly planner and the blank jotters are more resistant to feathering and bleeding. I’m not sure why but it seems the lined jotters are less FP-friendly than the other two. 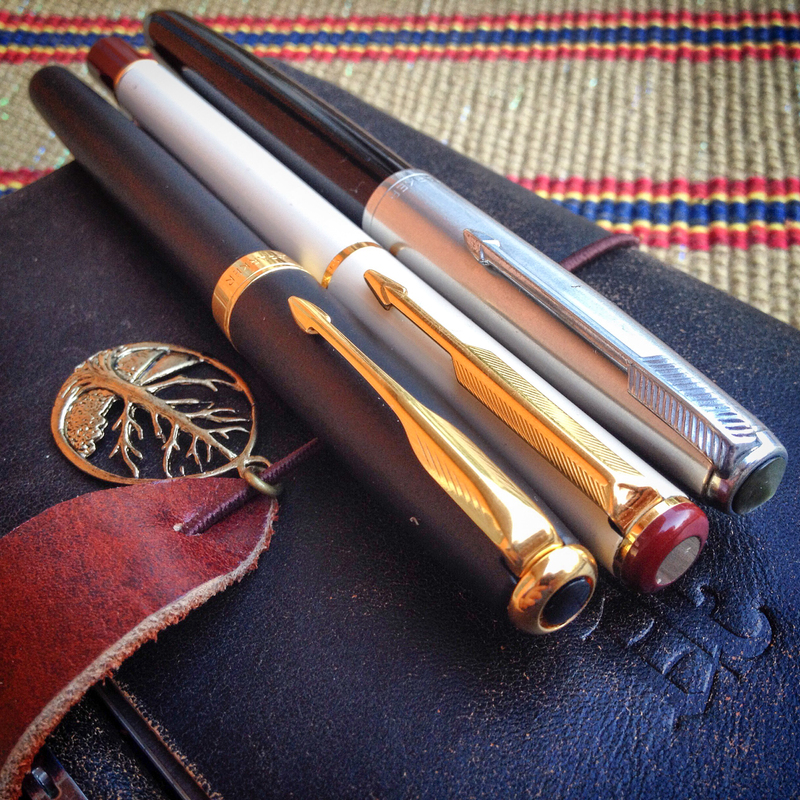 You can mix and match jotters, by the way. I picked one lined, one blank and one weekly planner for mine. 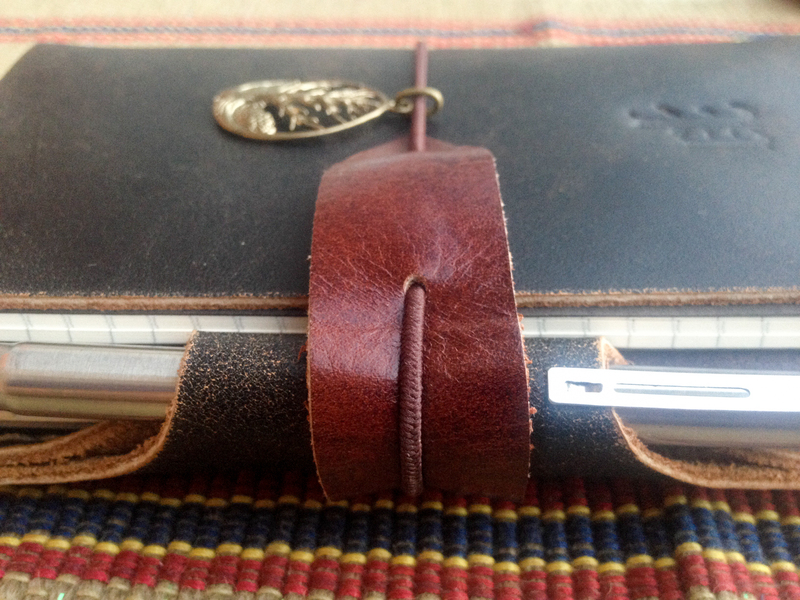 Since it’s a traveler notebook, I can also fit my choice of small notebook in it. I have a Venzi Flexy2 that I use for jotting down Bible verses while I read, it fits the Kislap perfectly. All-in-all, I think these notebooks are just really unique and beautiful. I can’t even remember the first time that I tried Alunsina Handbound Books’ journals, but opening a package from them always feels as much fun as it was the first time. These are thoughtfully made by hand with locally sourced materials by hardworking people who try to continuously improve their craft. It’s like each notebook is a work of art and I remember and appreciate that every time I open and write in it. 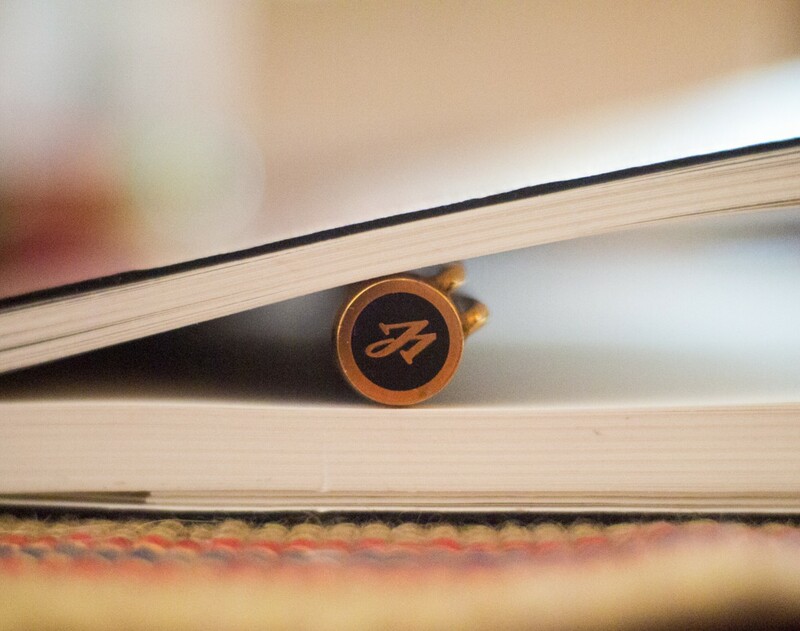 Learn more about Alunsina Handbound Books. 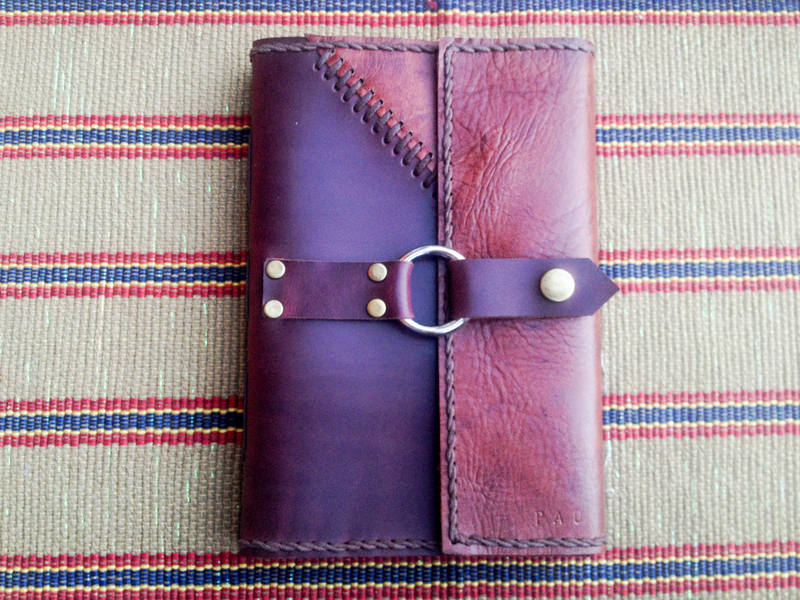 Here’s also a review of their small leather journal.